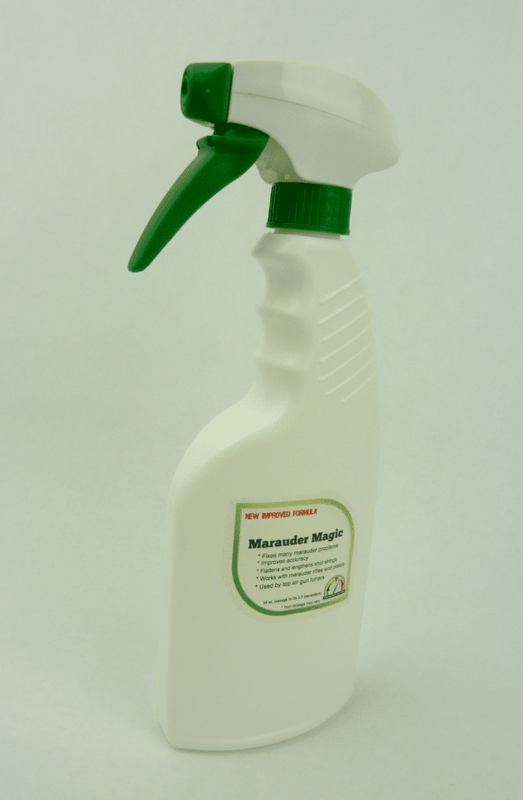 Home / Tools / Marauder Magic – Tuning Spray 16oz. 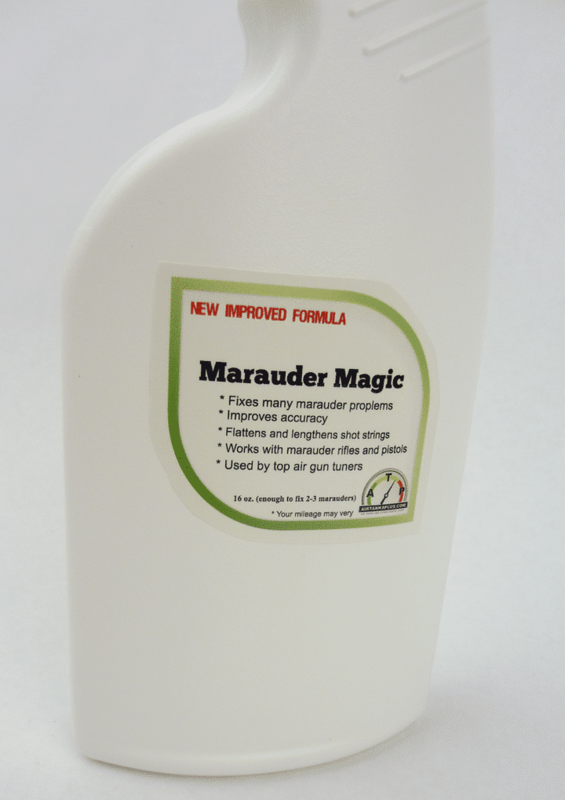 Marauder Magic is formulated from all the knowledge gained on the Marauder Air Rifle Forum. The Easy way to Tune your Marauder Rifle or Pistol. A mixture of 11 secret ingredients which are protected by a pending patent. 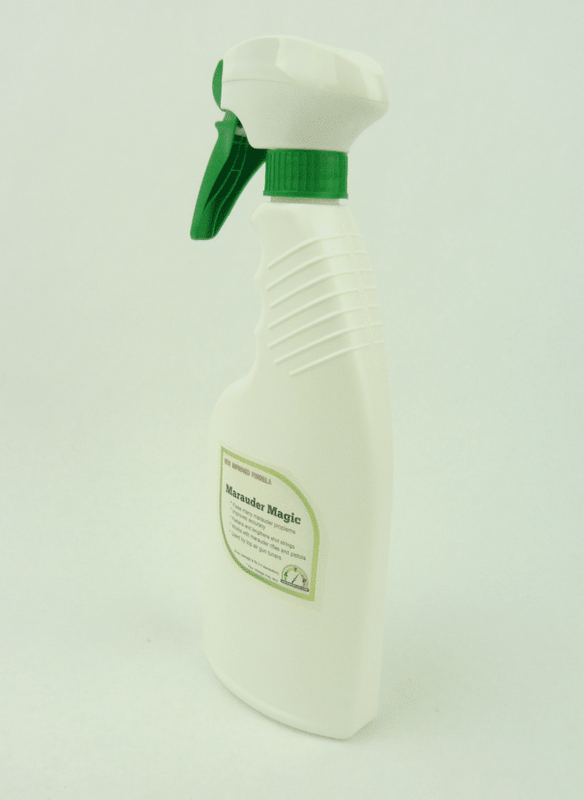 This unique formula contains 5% alcohol which cleans then evaporates leaving a protective low resistance scratch resistant self-healing dry film lubricating coating. 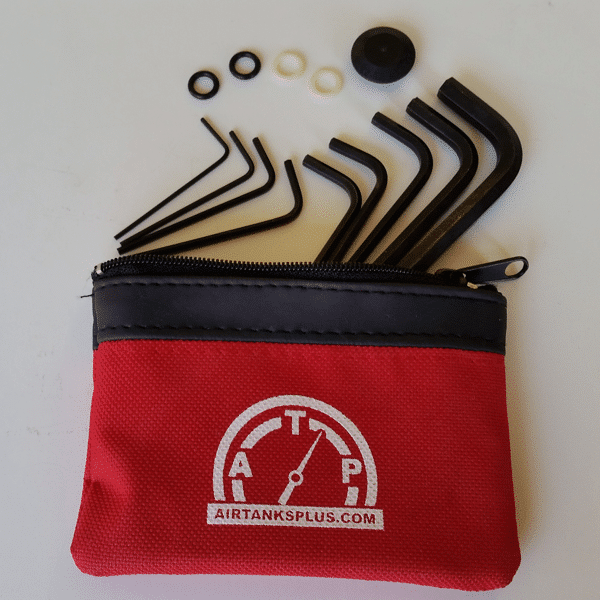 Used by top airgun tuners. Please Note: This product will NOT FIX Benjamin Rouges or Bulldogs. Due to California’s restrictive policy on listing ingredients, this product is manufactured and shipped from Sparks, NV. Please Note: This can no-longer can be shipped to California residents. 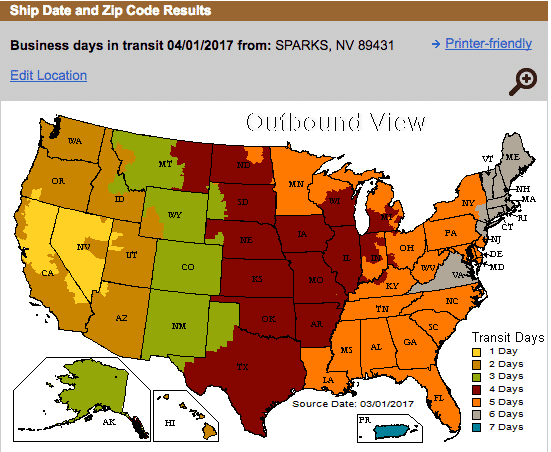 Below are the shipping times for UPS Ground Service. 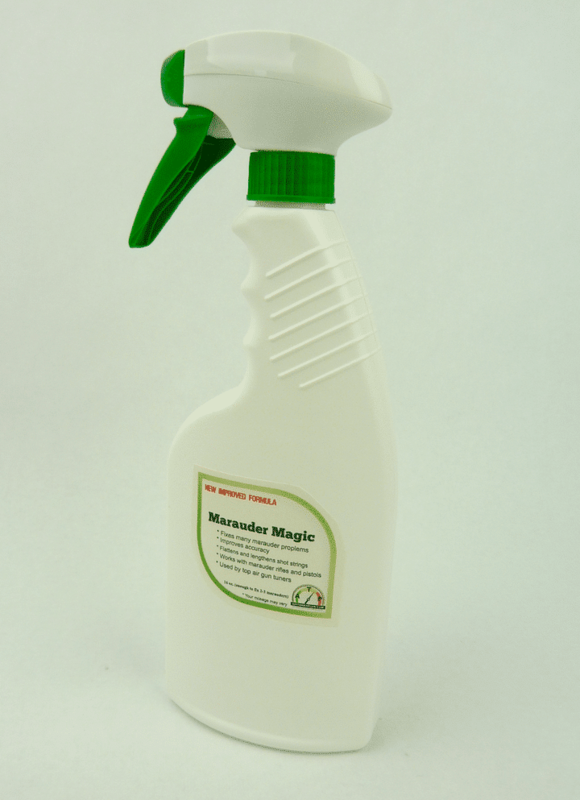 4 reviews for Marauder Magic – Tuning Spray 16oz. Worked wonders for my Marauder 22 caliber airgun. It is not picky on what pellets i feed it anymore. The other day I was out out plinking and I grabbed a mixed tin of old pellets they grouped really well. Now instead of buying the more expensive JSB pellets I can shoot the cheap stuff from Walmart. 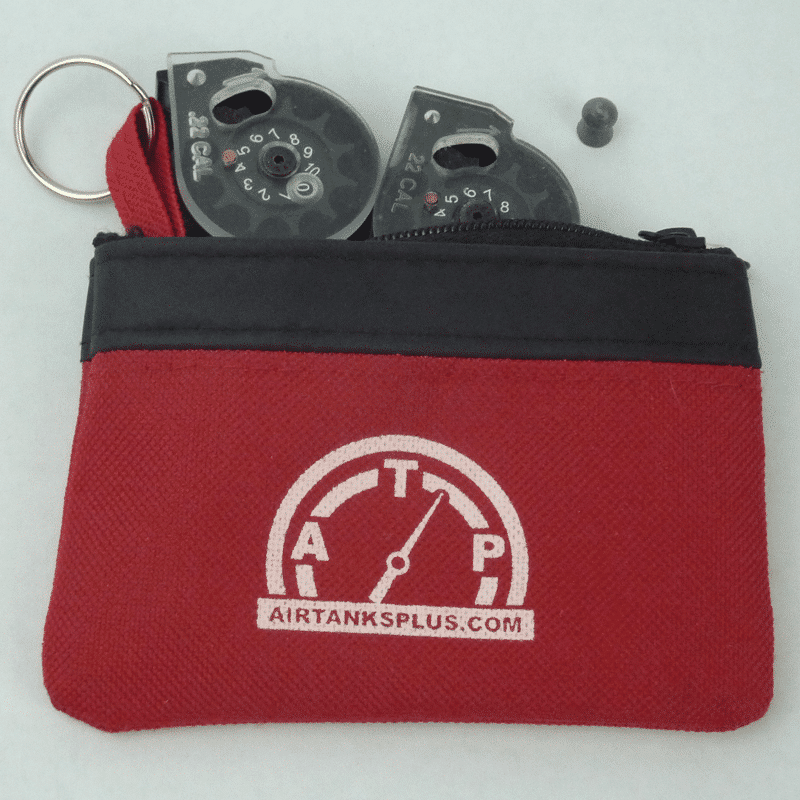 Thanks Air Tanks Plus! This stuff works great! My velocity is definitely faster, I can tell by my point of impact moving up by 1.5″ at 50 yards. WOW Picked up 30% FPS and increased Shot count by 40%. Amazing product. 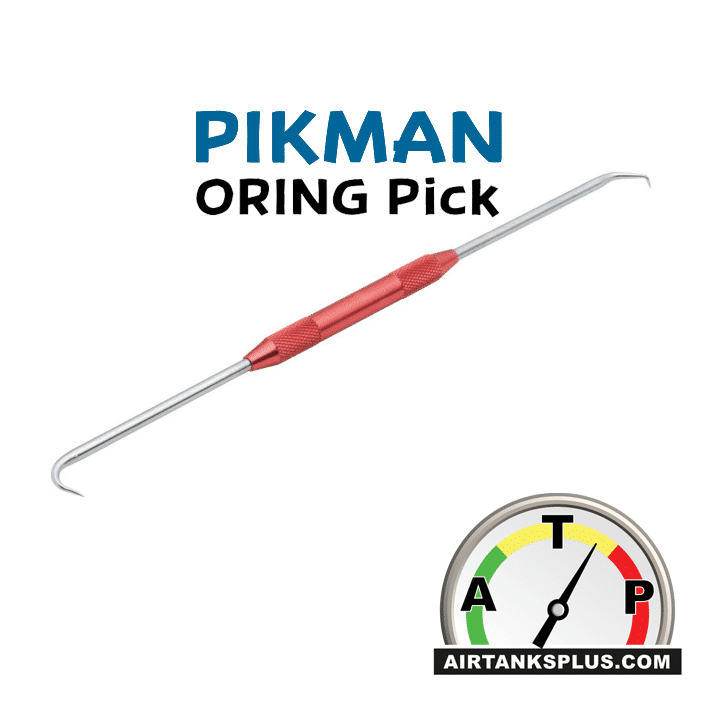 Reduces Friction in the Hammer area Great! Great work that NASA does and passes on to the general public! Glad I got the last bottle Sunday at the show!